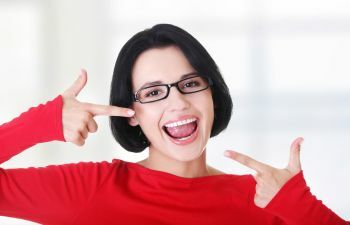 We can all agree that straight teeth look better, but there are several other benefits that should not be overlooked. When you choose orthodontic treatment, you are not only investing in a more attractive smile, but you are also improving the health of your smile. Here are three ways that straighter teeth can protect your smile. If you have crooked, crowded or overlapping teeth, you are at a greater risk for tooth decay and periodontal disease. This is due to the fact that crowded teeth are much more difficult to keep clean. Regular brushing and flossing do not alwaysclean the plaque or food that is lodged in these areas, resulting in excessive buildup over time. It is common for patients to need orthodontics due to a malocclusion, or improper bite. When your teeth are not aligned properly, your mouth must make accommodations when you chew. Over time, this causes the jaw joint and surrounding tissues to become strained. Straightening your bite can lessen you risk for a painful TemporomandibularJoint (TMJ) Disorder. Another side effect of a bad bite relationship is the way the teeth function against one another. When your teeth are out of alignment, they close (or bite down) together in a way that can produce damage. This results in excessive wear on areas of your teeth that were not designed to withstand repetitive force or pressure. In many cases, patients notice a flat surface across their entire smile as their teeth wear down prematurely. Now that you understand that orthodontics is about more than your looks, you may be ready to take the next step. At Georgia Orthodontics & Children’s Dentistry, we offer a wide range of orthodontic treatment options for both adolescents and adults. With the latest dental technology, there is a solution to fit every lifestyle and budget. It is never too late to straighten your smile!